University of Westminster Press, 9781911534242, 272pp. Knowledge in the Age of Digital Capitalism proposes a new critical theory concerning the functioning of capitalism and how we consider knowledge and information. This ambitious book systematically and lucidly introduces contemporary phenomena into the framework of cognitive materialism to address some of the great themes of the social sciences: knowledge, exploitation and social class in an account of capitalism's totality in the present day. 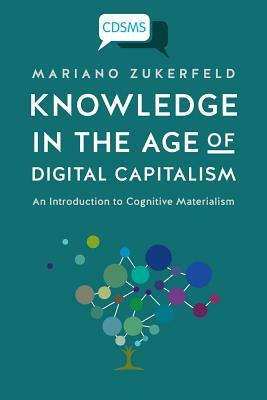 Author Mariano Zukerfeld reinvigorates materialist study of communications, presenting a typology of knowledge to explain the underlying material forms of information, intellectual property and cognitive work in contemporary societies. Using current examples the book also examines concerns such as free labour and the pivotal role of intellectual property.